Joshua Porcher Killed in West Ashley Parking Lot Shooting; Was This Tragedy Preventable? Could the tragic loss of this West Ashley father have been prevented and are justice and compensation available to Joshua Porcher’s family? 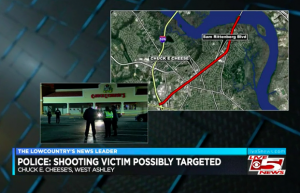 32-year-old Joshua Porcher was reportedly shot and killed while “walking from [a restaurant] to his car with his children” in West Ashley Saturday night, November 24, 2018, according to WCSC 5. Police told FOX 8, responding officers discovered Mr. Porcher “next to his vehicle” in “the [restaurant’s] parking lot on Sam Rittenberg Road” shortly after 9:30 p.m.
Disturbingly, this is reportedly not the first shooting to occur outside the restaurant. WCSC 5 reports, “a shooting at the same [restaurant] left two wounded” in 2014. The unconscionable incidents raise questions over security measures on property. Parking lot patrons have a right to feel safe and secure while on the premises. The Murray Law Firm questions the level of security provided on the property and whether this tragedy may have been prevented. What additional security measures, such as bright lighting, monitored surveillance cameras, clear sight lines, and security patrols were implemented to deter crime and protect patrons following media reports of prior gun violence on property? Generally, property owners are required to protect all those legally on the premises from any foreseeable harm. Should the facts of this matter reveal that the restaurant or parking lot owners failed to provide adequate security to protect those on its premises, Joshua Porcher’s family may seek justice and elect to pursue legal claims for their loss.